Hi there! We are so excited to announce that we will be hosting a Nesting Stars Sew along! We love this pattern so much, that we thought we should make another one. This time, we are making it featuring Christmas Figs! Sew along will run for ten weeks. One block a week, plus a week for assembly. Finish date is November 8, giving you plenty of time to finish before December! 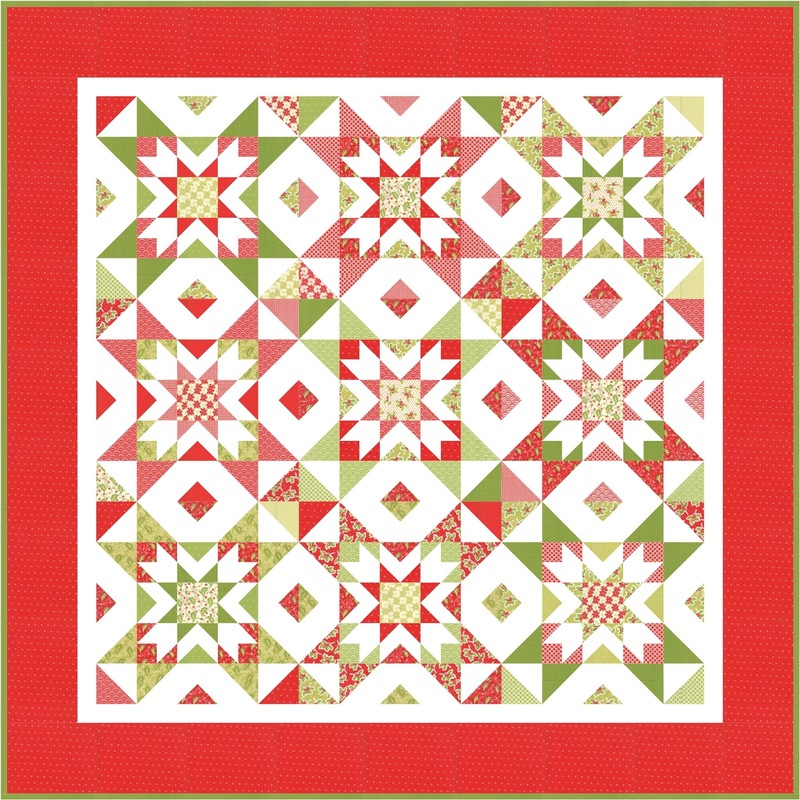 You will need a pattern to join in this quilt along! You can find it HERE in paper, or for the digital download, go HERE. There will be a few prizes along the way and a GRAND PRIZE! One winner will be drawn randomly to get their Nesting Stars quilted for FREE by Primrose Cottage Quilts!! I will also be sharing a few other fabric ideas for this quilt in the next week, so you can see it in different color ways and fabrics. Here is the fabric I am using for my quilt! I am sooo excited about this! 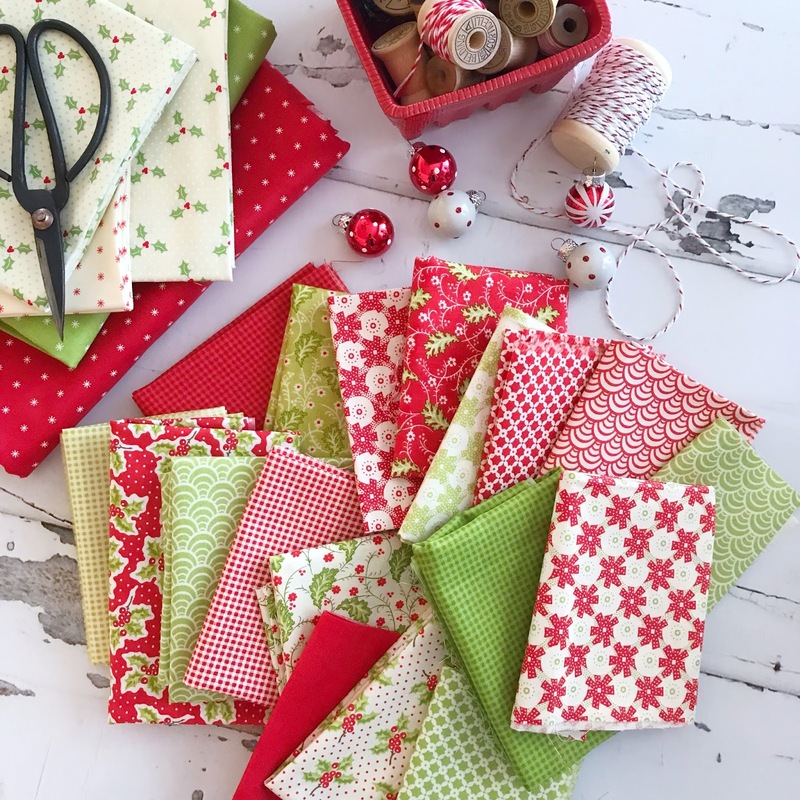 The fabric is called Christmas Figs, and it is by Fig Tree for Moda fabrics. I got my fabric from Fort Worth Fabric Studio - they still have some left! You can find it HERE. 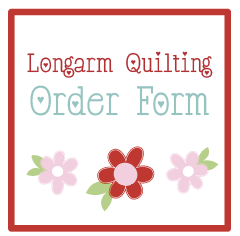 If you plan on sewing along with me, please sign up below! WOW that went fast! I just got the post today. Maybe I'll try to do my own pattern since I didn't win!